This Home Ready Soft Pet Playpen Tent is ideal for you that love to take your pet outdoors! It is a smart and safe solution to bring your pet along. Providing your pet a safe area to play keeps you, your pet and others safe as well and it is great to keep the harmony in public places! It is also great for indoor use! The tent consists of 8 foldable panels and strong steel frames which creates a space for your pet to stay freely inside. It is made of high quality non-toxic strong and durable PVC coated 600D polyester fabric. There are two big zip up doors so getting in and out will not be an issue. It has mesh windows in order to provide better ventilation and also allow you to monitor your pet. 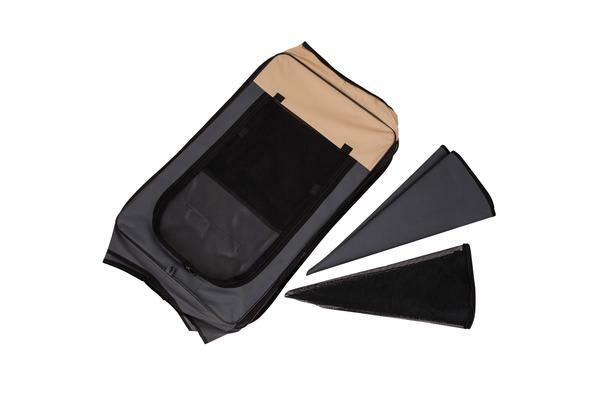 On the sides, you will find 2 pockets and 1 mesh pouch which are very convenient to store your pet’s items. 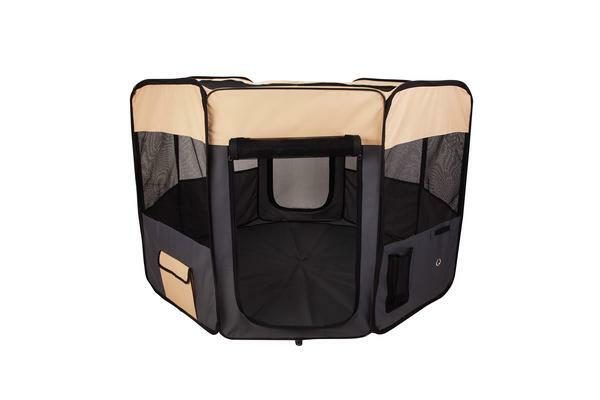 The roof is removable so your pet and you can stay comfortably inside the playpen so you can play with your pet as well! The tent is very easy to set up and no tools are needed! 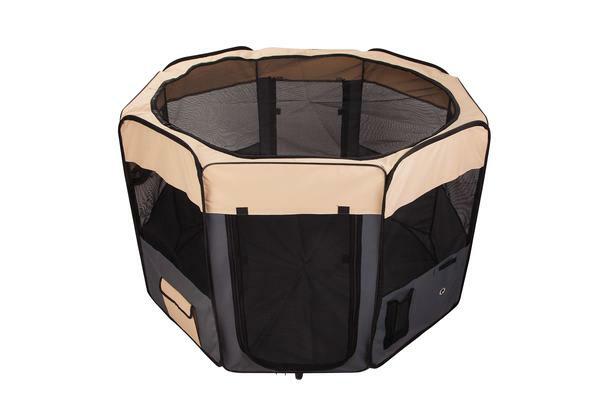 The playpen can be folded flat so storing and transporting is easy. It is ideal for dogs, cats, guinea pigs, rabbits and many other pets! Grab one of this amazing product today and you and your pet will be amazed! Stock going quick!